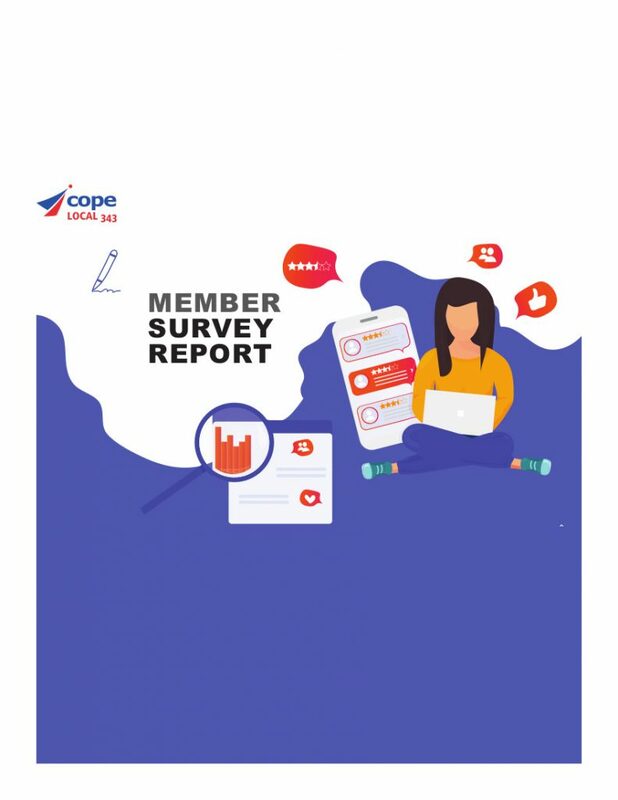 In 2018, COPE Local 343 embarked on its first ever comprehensive Membership Survey. The goal of the Survey was to help gain a more comprehensive overview of the membership and the challenges they face in their workplaces, and what they’re looking for from their Union. At the 2019 Local 343 Convention, the Report was released to the membership for the first time. Any member wishing to obtain a copy of the Report may contact the Office and request that one be mailed to them. You can email office@cope343.com or check out the Contact Us page for other ways to contact the Local’s office. Thanks to everyone who took the time to fill out the Survey. The feedback is invaluable and very helpful!